Booking.com is considered the world’s number one online accommodation booking website where it features over 42 million reviews written by guests. JW Marriott and Renaissance Cairo Mirage City Hotels have been acknowledged as top performing hotels based on guests’ reviews on Booking.com, the world leader online accommodation booking for achieving 8.2 review score for JW Marriott Hotel , Cairo’s only corporate resort and 8.3 review score for Renaissance Cairo Mirage City the stunning discovery in the heart of new Cairo . The Guests review award is a symbol of excellence provided by Booking.com to properties on an annual basis in honor of their achievements over the past year and recognition for the special and most unique service that exceeds all expectations. Booking.com is considered the world’s number one online accommodation booking website where it features over 42 million reviews written by guests after their stay, and attracts online visitors from both leisure and business markets around the globe. 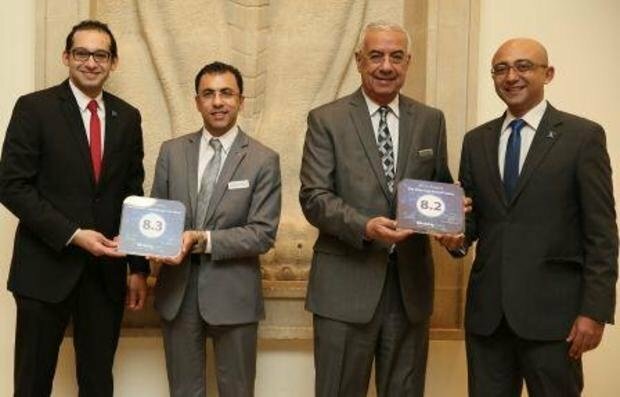 Mr. Magdy Naguib, Multi-Property General Manager of JW Marriott Hotel Cairo and Renaissance Cairo Mirage City Hotel, expressed his happiness winning this award. He is also proud of the hotel and its associates as they strive to always provide world class service.